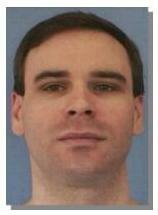 Jeffrey Havard (pictured) is facing execution in Mississippi despite the fact that key evidence against him came from a medical examiner who has been harshly criticized by experts in his field. Havard was convicted of murdering his girlfriend’s 6-month-old daughter, based primarily on the testimony of Steven Hayne, a state pathologist. Dr. Hayne testified he found symptoms of "shaken baby syndrome" and sexual abuse on the infant. Recent investigations into Hayne's credentials indicate he had never been certified in forensic pathology by the American Board of Pathology. He took the exam in 1980, but failed it. Dr. Hayne acknowledged performing as many as 1,700 autopsies in a year, far more than the number recommended by experts, in addition to having his own pathology practice. According to Dr. David Fowler, chief medical examiner in Maryland and a former chairman of the standards committee for the National Association of Medical Examiners, that number is "beyond defensible." Hayne's autopsy in Havard's case has been reviewed and discredited by other expert pathologists. Mississippi stopped working with Dr. Hayne in 2008. Other cases in which he had provided pivotal prosecution testimony have been overturned through DNA testing. However, Havard's appeal has been denied by the state Supreme Court. One of the groups working on Havard's case and investigting Dr. Hayne's background is the Innocence Project, based in New York. In 2009, Dr. Hayne sued the Project for defamation, and was paid a $100,000 in settlement. (R. Balko, "Despite Evidence From Discreted Medical Examiner, Mississippi's Jeffrey Havard Nears Execution," Huffington Post, January 8, 2012; C. Robertson, "Questions Left for Mississippi Over Doctor's Autopsies," New York Times, January 7, 2013.) See Arbitrariness.